Thirty-seven-year-old Nick Asoian of Denver unsuccessfully fought Hodgkin’s Lymphoma using conventional cancer treatments for two years. 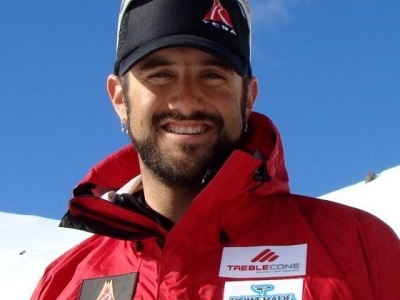 In 2008, while in New Zealand for a ski race, Nick was diagnosed with Hodgkin’s Lymphoma. Two bone marrow transplants and two years of chemotherapy combined with radiation therapy didn’t bring his cancer to heel. Nick Asoian. Image source: www.youcaring.com. Then, a few years ago the avid skier got wind of clinical trial using T cell therapy at the Center for Cell and Gene Therapy at the Baylor College of Medicine in Texas. After speaking with Dr. Bollard and Vicky Torrano, the physicians conducting the trial, Asoian decided to give it a shot. Nick underwent 12 treatments over the course of 2 years, which consisted of taking his brother Nate’s blood and extracting the T cells. Technicians then engineered those cells to be resistant to the toxin emitted by the Hodgkin’s disease. After two years using the novel T cell therapy, the results have been nothing short of remarkable. “Over the course of about two years I had 12 infusions, and since my last infusion I have had many PET scans that are now showing no evidence of Hodgkin’s disease.” said Asoian. In a first-of-its-kind clinical trial, Baylor College of Medicine (BCM) evaluated the safety, survival and anti-tumor activity of tumor-targeted T cells in patients with a type of cancer known as Epstein Barr Virus (EBV) positive lymphoma. The researchers published their results in the Journal of Clinical Oncology. 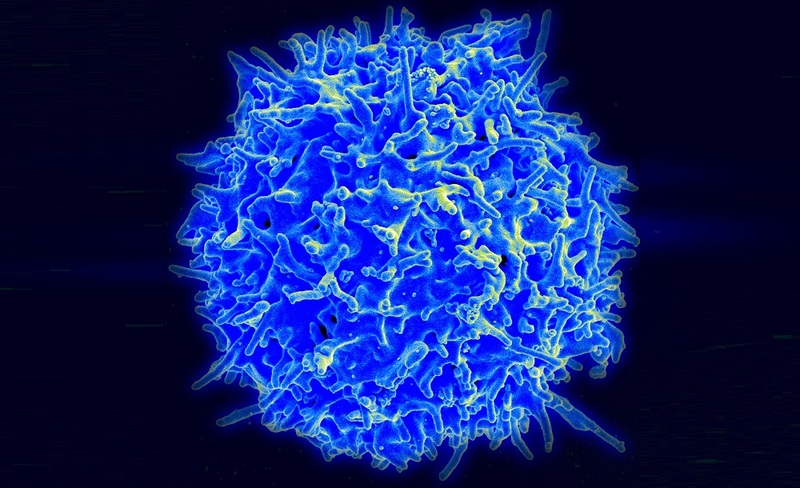 T cell therapy has shown promise, benefitting patients with chemotherapy-resistant lymphoma. Despite these advances, however, a large number of patients still respond poorly. Lymphoma is the type of cancer that begins in the lymphocytes – the infection-fighting cells of the immune system. Lymphocytes are in the bone marrow, lymph nodes, spleen, thymus and other parts of the body. In the disease of lymphoma, the lymphocytes change and grow out of control. The primary advantage of T cell therapy is that it does not cause bystander damage because it is highly targeted to tumor cells. Patients have had successful responses with virtually no toxicity, unlike the experience with conventional cancer treatments such as radiation and chemotherapy. Like most tumors, lymphomas suppressive the immune system by secreting immune-system inhibitory chemicals. One of these inhibitory molecules called TGFβ, inhibits the expansion and function of tumor-fighting T cells, limiting their ability to eradicate tumors. The research team said this work exemplifies bench-to-bedside efforts and the power of virus-specific T cells to produce a significant patient response with little toxicity. CWRU researchers block cancer’s spread to the body with a novel technique. Stealth virus holds promise in cancer therapy. Novel cancer ‘vaccine’ eliminates tumors in mice. Team paves the way for immunotherapy to treat aggressive colon tumors. BioViva’s Liz Parrish updates the progress of gene therapy clinical trials on cancer. Share this post on social media and help us spread the word– It only takes one click on any of the social media links on this page. Sign up for our email list – We use your email to notify you of new articles. We will not send you spam, and we will not share your email address. You can cancel at any time. Tell us what you think – Scroll down to enter your comments below. Cover photo: Modifying genes for T Cell Therapy. Credit: National Institutes of Health. Hartman, B. “Can We Restore Thymus Function to Cheat Death?” Web. November 22, 2017. Link to article. “Gene-modified, virus-specific T cell therapy shows promise in treating lymphoma, with little toxicity.” Baylor College of Medicine. Jan 25, 2018 [BCM Press Release]. Diagnosis, Treatment, and Advice: This article is intended for educational and informational purposes only and is not a substitute for qualified, professional medical advice. The information and opinions provided herein should not be used during any medical emergency or for the diagnosis or treatment of any medical condition. Consult a qualified and licensed physician for the diagnosis and treatment of any and all medical conditions. Experimental therapies carry a much higher risk than FDA-approved ones. Call 911, or an equivalent emergency hotline number, for all medical emergencies. As well, consult a licensed, qualified physician before changing your diet, supplement or exercise programs.